Rachel Phillips packed up her belongings not long after she got the Waterways Ireland notice, because it said she had to be gone by 10am the next day. She was afraid she wouldn’t wake up. The 28-year-old had started to make the tent a bit more like home, but as she gathered her things, she set aside a pile to get rid of. “I wouldn’t be able to carry it,” she said, on a recent Saturday morning, crouched outside her tent on a shaded strip of land where the bank slopes away from the Royal Canal and down towards the backs of houses. So she had thrown out duvets, a sleeping bag, some clothes, and, she says, started to turn over in her head her options for where to go. In the end, Phillips stayed put, unpacked the tent and pitched up not far from a couple further along the canal. She woke up the next day at 8am, wondering if somebody would come to move them on. “I thought there would have been something, but they never showed up,” she said. Katrina McGirr, a spokesperson for Waterways Ireland, said in early September that those along the Royal Canal were camping on canal property. The “notice to leave” was dated 31 August and said they were trespassing. It gave those in tents along the canal one day to leave. “It is a matter of safety for the people involved and for the public who use this towpath,” she said. The Office of Public Works (OPW) cited illegal camping as the reason why two homeless people were told to leave Phoenix Park in August – and later confiscated their belongings when the deadline passed. 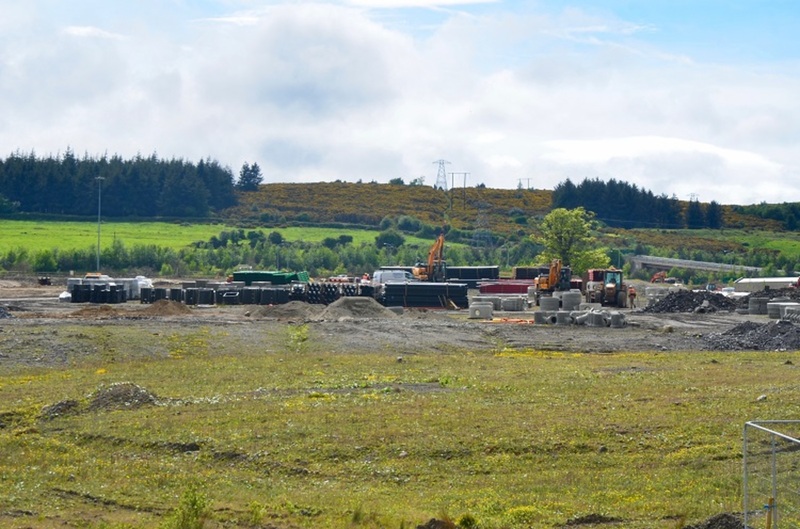 The agency is responsible for “public safety” and is “cognisant of the welfare of all individuals who use the Phoenix Park”, said a spokesperson for the OPW. Critics say that there is little point in pushing those already living on the margins into more dangerous and distant parts of the city, effectively using bylaws to criminalise those who are homeless. “It is likely that people are going to start forming more and more communities, and that is something that we’ve never seen before,” says Francis Doherty, head of communications at Peter McVerry Trust. “We actually packed up last night,” said Christopher Paul Maughan, the day of the deadline, outside his tent on the same stretch of the canal. The 30-year-old and his fiancée had walked around, he says, but couldn’t find anywhere to go. Circling back, they bumped into Dublin Central Housing Action protestors, who told them to go back to their old spot. Campaigners came out to protest the planned eviction. “Say, no more than a moment before, I was praying to St Anthony and a child of prayer and the dead above me,” says Mary Kelly, sat beside him in their tent, her curly hair pulled back off her face. Maughan and Kelly say that they’re unclear why they’ve been asked to move on. 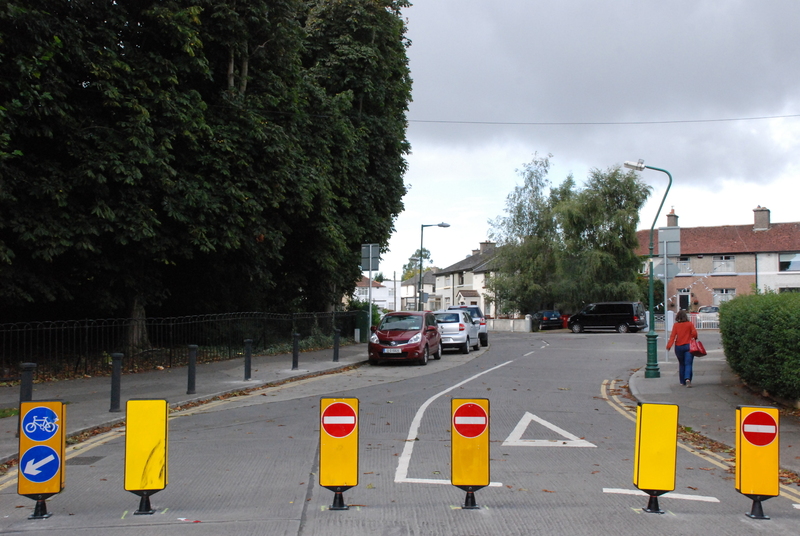 A garda had hinted that residents or people walking by were afraid, which makes Kelly indignant. “Well that’s funny, because the Waterways people come and give us our bags. Plus the people greet us,” she says. Towards Drumcondra, some along the canal have spread out their belongings. Socks and plastic bags hang on the fence. Kelly and Maughan’s pitch is compact and spotless. A green bin-bag is propped against a tree just outside the tent. The ground is clean, just twigs and mud and not a scrap of litter. Maughan points down towards the alley that runs by nearby. As he sees it, there are double-standards at play. “You get all the people who go to see the match, you know the match, and after the match they come up here and they go to the toilet and have shits down there, and you can smell it,” he says. Sometimes, he’ll call to Kelly to turn her head because a few men are using the trees nearby. “So it’s alright for them, but what about me?” says Kelly, exasperated. “I have to sit in my tent with a little bucket, you know like a jug, that’s what I do as a lady,” she says. “Even when our dog, when it goes to the toilet, we’ll clean up, put it in …” he says. Outside the tent, an excitable white-and-sandy terrier is leashed to a tree. It’s not as if Kelly and Maughan haven’t moved on before. They were pitched up for several months in a run-down old mill not far from the canal. But it got less and less safe. At the beginning of the summer, they came back one day and their iPhones were gone, the power bank was gone, their letters were ripped up. “Remember when we were staying in the underground car park, Paulie?” she says, suddenly. That was on the other side of the city. They were there for a few weeks, sleeping behind an elevator on the floor on a mattress. A smashed-up car blocked the entrance and when they woke up one night, it was in flames. 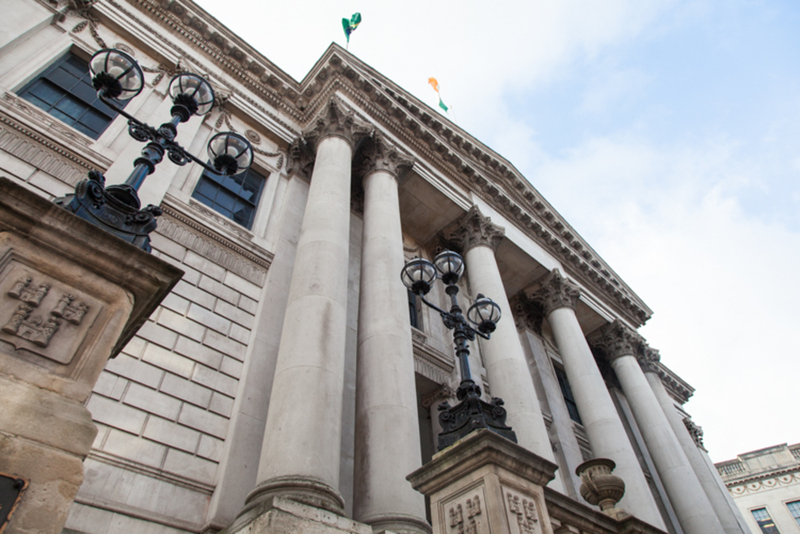 People Before Profit Councillor Andrew Keegan says he wants Dublin City Council to use its influence to make sure other state agencies treat those who are homeless decently. At the moment, there is a protocol for how An Garda Síochána engages with homeless people who they come across. Set up after the death of Jonathan Corrie just metres from the Dáil in 2014, it means that gardaí are supposed to contact housing-first teams who can come and see if they can set people up with a temporary placement, says Doherty of Peter McVerry Trust. McGirr of Waterways Ireland said that the organisation has been in touch with Dublin Regional Homeless Executive for help. The Office of Public Works spokesperson said that park rangers regularly walk the park in the morning with workers from Focus Ireland, “to meet with homeless individuals and try to address their needs”, he said. Outside her tent on the canal, Phillips says that all she wants is somewhere safe to stay. “Somewhere safe, no drugs and that sort of thing around you all the time, and people fighting,” she said. Where she is now seems better to her than other options. In town where she would sometimes sleep in doorways or outside the General Post Office, she would be woken early, at 7am, at 8am, at 9am, by shopkeepers opening up. One of the guys has walked down from further along the canal and he hands her a neatly folded, clean, blue hoodie. Phillips unzips the tent and places it inside. Better than moving people on would be to build up relationships to work out how to find them either high-quality emergency accommodation or get them onto a housing-first programme, says Doherty of Peter McVerry Trust. “The emphasis should be on proactive engagement, almost as if it’s a hostel environment with staff allocated,” he says. Other housing campaigners agree. 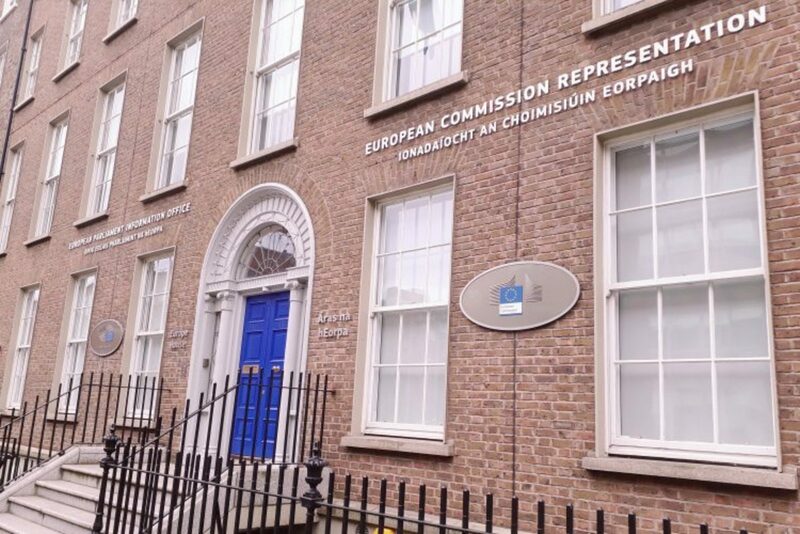 “I don’t think it’s ever appropriate to move people on unless they are offered something better,” says Aisling Micklethwaite, who works on anti-eviction support for Dublin Central Housing Action. 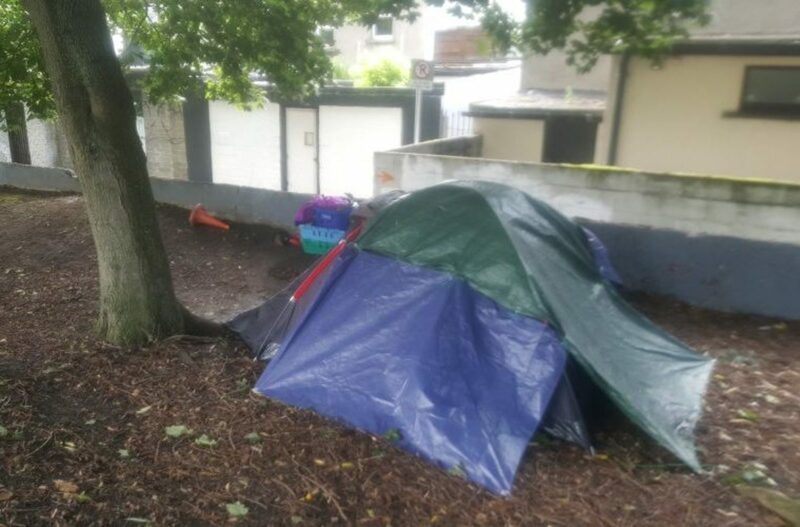 A spokesperson from Dublin Regional Homeless Executive says that its housing-first team has been working with people along the Royal Canal to offer places in temporary accommodation and other supports. Its priority is “to ensure sufficient access to temporary accommodation and supports for any person sleeping rough in the Dublin Region”. But even when places might be available for a few nights – which is not always the case – there’s a logic to the actions of those who refuse them. “People who choose to camp are doing so to avoid hostels and emergency accommodation in some cases due to poor conditions and drug use within hostels,” says Micklethwaite. With the city unable to offer high-quality emergency accommodation, should agencies work to better manage these clusters of tents? “Our aim wouldn’t be to fight for better conditions in these horrific situations, but to fight for actual homes for these people, and all the other people who are homeless,” says Micklethwaite. Waterways Ireland didn’t respond to a query asking for more details on how Phillips and Maughan and the others sleeping in tents next to the canal was a safety issue, and whether something specific had triggered the notice. Keegan of People Before Profit says there might be ways to manage the realities of homelessness: “They’re there. Let’s make their lives a little bit easier. (…) A drop-down shower facility, maybe even once a week. And a toilet,” he says. On a Tuesday afternoon, a few days after they were handed the notice to leave, Maughan was sat just inside the entrance of his tent, his sister and Kelly huddled nearby. There were small puddles of water in the plastic outside from the rain overnight. On Sunday, the mattress got soaked and the tent broke. They got a new one and had to toss the other. It’s dry inside now. They’ve had some bad news too, says Kelly. Maughan’s mother died at the weekend. The latest in a series of recent losses: his brother last year to suicide, her first cousins in the Carrickmines fire and later in the fire at a women’s refuge. He flicked through pictures on his phone of a woman propped up in a hospital bed. “She was very happy, but her eyes were open like she was waiting for someone,” he said. Kelly pries the cap off of a beer bottle and shrugs. “You know when you think it can’t get any worse, but it does,” she said.